Neoliberalism. Boston, MA: Harvard University Press. Neoliberalism and globalism have both become buzzwords used within the political discourse by intellectuals, journalists, as much as celebrities in order to describe and explain recent events. 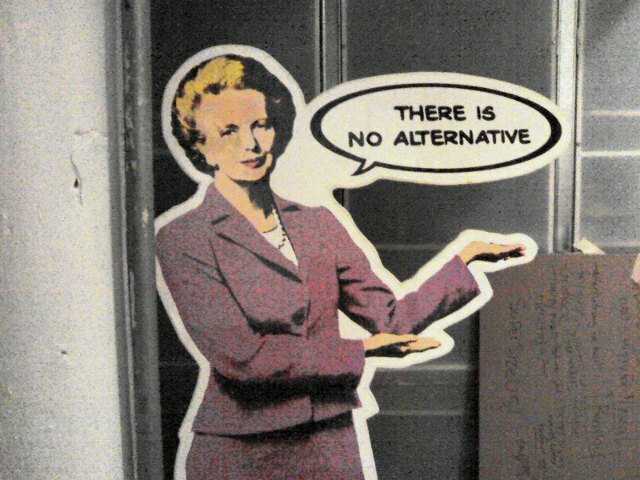 But what are really neoliberalism and globalism, and in what relation do they stand to each other? Quinn Slobodian argues in his recent book Globalists: The End of Empire and the Birth of Neoliberalism, that neoliberalism and globalism are commensurate concepts, an economic doctrine on the one hand and a political worldview on the other, both mutually reinforcing a particular form of contemporary capitalism. Slobodian puts the notion that neoliberalism lacks a clear referent to rest. Instead, he argues that neoliberalism and globalism have existed as a coherent body of thought since the 1920s. 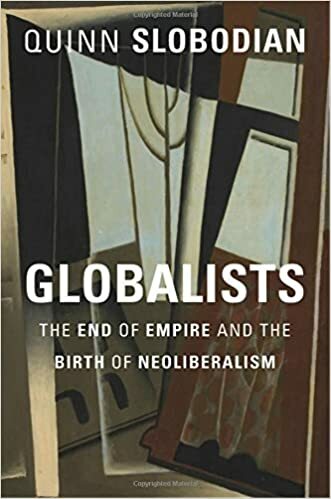 Tracing the origins and consequent development of these ideas, he offers the readers a richer, more precise history of both the idea and practice of neoliberalism-globalism, with particular attention to their relationship with sovereignty and democracy. As such, he provides us with a much needed historical and theoretical corrective to the oft repeated and yet often historically inaccurate theories of neoliberalism. Donald Trump, who railed against ‘globalism’ on the campaign trail, was elected in 2016 partly on a platform of defying free trade agreements like the Trans-Pacific Partnership and NAFTA. Similarly, we have recently witnessed a proliferation of anti-EU forces from both the left and right in Europe, notably in form of Brexit in the UK and in Italy’s recent elections. Mexico has also recently elected the ‘populist’ Andres Manuel Lopez Obrador, who threatens to destabilize NAFTA, at least as we know it. These political upheavals against the postwar world order make Globalists a timely and necessary reading for anyone interested in intellectual and economic history. Central to Slobodian’s argument in Globalists is a rejection of the idea that neoliberalism can simply be reduced to ‘market fundamentalism’, a term central to Karl Polyani’s critique. Rather, Slobodian argues, neoliberalism is a form of regulation, rather than a radical opposition to regulation; it is a form of regulation that seeks to reshape societies to be more favorable to the interests of the market and of the capitalist class, in opposition to democracy and sovereignty if necessary. Contrary to widespread belief, the Austrian School of Economics, as Hayek and Mises’ faction are often called, did not propose a regime of laissez-faire economics as we normally understand it. Rather, they sought to overcome the limitations of the old regime of mercantile colonialism, which divided the world territorially amongst competing camps of European capitalists, through the use of truly global institutions—the League of Nations, the European Court of Justice, the World Trade Organization, international investment law, etc. — to insulate markets. Their basic ethos could be summed up as follows: ‘International institutions should act as mechanisms for protecting and furthering competition without offering spaces for popular claims-making’ (p. 271). This, they believed, would protect the profits of the capitalist class against the laws of sovereign states, political instability, and demands raised by civil society and workers for greater equality and social justice. Many leaders of the early neoliberal movement relocated to Geneva in order to influence the shaping of these institutions, leading Slobodian to call them the ‘Geneva School’ (p. 7). The Geneva School was closely tied to business and finance, and its members moved easily between academic settings and lobby organizations such as the International Chamber of Commerce. The popular (mis)understanding of neoliberalism is perhaps best represented by Karl Polyani’s description of the movement in The Great Transformation, where he uses the term ‘market fundamentalism’ to describe the Geneva School ideology. In this interpretation, neoliberals advocate for ‘disembedded’ markets which, separated from society, replace social bonds with atomized relations, giving rise to counter-reactions within society in the form of either xenophobic nationalism or revolutionary socialism. Slobodian, however, identifies the objective of the Geneva School instead as ‘enclosing’ markets in international institutions and treaties. Far from being fundamentalists with an irrational faith in the market, Hayek and Mises readily accepted that markets are ‘products of the political construction of institutions [which] encase them’ (p.7). The first economic gathering to take the entire world as its subject was the World Economic Conference of 1927. Famous neoliberals like Mises, Gottfried, Haberler, Röpke, Hayek and the aforementioned Robbins all took a direct role in the conference and the subsequent declaration advocating global economic governance, codifying international opposition to ‘trade obstacles’ on the part of the European elite (p. 30). This is the first attempt documented in Globalists of neoliberals trying to conjure up a supranational federation of capitalists as a way to offset the dual pressures of national economic planning and decolonization. The wave of independent nation-states rising from the ashes of empire after the world wars prompted greater urgency for such a supranational power. From the perspective of capitalists and their neoliberal lieutenants, these were adversaries to be thwarted. ‘For [Mises]’, writes Slobodian, ‘the real war was not between individual nations or empires but between the world economy and the nation as forms of human organization’ (p.109). It is from this capitalist project of ‘militant globalism’ against ‘economic nationalism’ (Heilperin, quoted on p. 130) that Slobodian traces the development of entities like the European Union, Free Trade Agreements and the Investor-State Dispute clauses they contain, as well as the World Trade Organization, and the neoliberal intellectuals’ instrumental role in their construction. While these institutions ultimately benefited the elites of the European countries and the United States, they required even the wealthy countries to acquiesce their sovereignty to dictates which spanned multiple sovereign jurisdictions, making them difficult to be challenged by any one government without inviting conflict. Of particular interest to anthropologists, Slobodian focuses on neoliberal ambassadors’ deep interest in the area of culture. The globalists, from their vantage point in Geneva, left no intellectual or topical stone unturned. The Rockefeller and Ford Foundation, two of the largest funders of ethnographic projects to date, were generous in their support of neoliberal intellectuals seeking to broaden the conceptual scope of their project. The Rockefeller Foundation, for example, essentially bankrolled a study by Wilhelm Ropke in the Danube region which lambasted the locals for ‘economic simplism’ for seeking greater authority over their own economy (p. 75). Interestingly, Ropke considered this demand for economic control as a cultural phenomenon and sought to develop methods and instruments to reshape the culture of the Danube to be more accommodating to the global market. Globalists is effective in its ability to lay bare and substantiate with broad source evidence what Slobodian classifies as some basic truths about neoliberal ideology. The book also weaves a convincing narrative about these tenets and their implementation across the modern world. The basic principles Slobodian ascribes to neoliberal globalism are mostly described in negatives. The first is neoliberalism’s aversion to democracy, particularly to democracy that cannot be manipulated or neutered in some way. Slobodian demonstrates this through quotations from neoliberal intellectuals, Mont Perlin Society memos, and internal documents of the European Union, IMF, and other bodies. The second is neoliberalism’s aversion to the nation-state and sovereignty, which binds capitalists by certain obligations which may limit their profits and liquidity, something Mises was particularly adamant about. The third and final, related to the proceeding points, is neoliberal globalism’s resistance to politicization; that states or peoples should have levers by which to regulate or transform their social conditions is the antithesis of the neoliberal project. The neoliberal globe is one without politics, especially without politics that could potentially interrupt the smooth expansion of the market. This may also explain why we can observe an uncanny rise of disturbing pseudo-politics within the last decades. 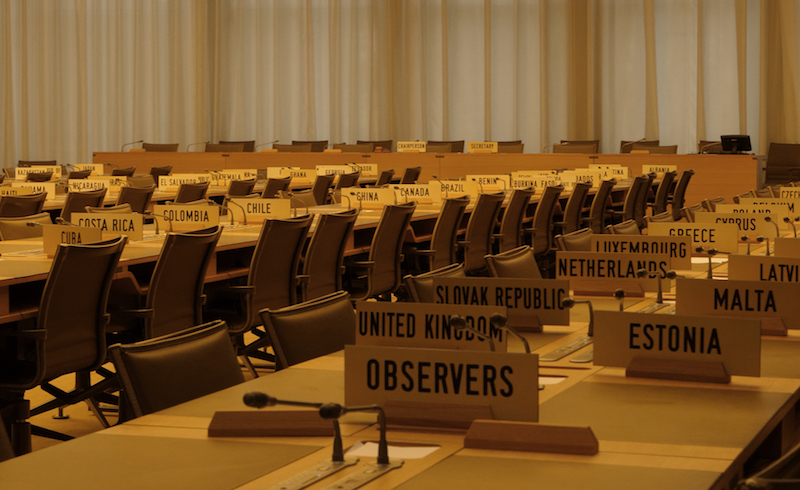 Neoliberalism as a body of thought and its Geneva School ambassadors have had profound political, economic, and cultural influence on the modern world. Globalists does an excellent job of summarizing and explaining neoliberalism’s development, its core principles, and its direction. It is also a retort to lazy analyses of neoliberalism, which focus solely on aspects of economic policy or reform, and not on the other arenas of human life – culture, politics, international relations, etc. – which the Geneva School has actively and consciously sought to shape, along with Keynesians, imperial bureaucracies, business lobbyists, activists of certain stripes, and a host of other actors. Globalists is a valuable and refreshingly thorough book which clearly defines and scrutinizes the intellectual and practical components of neoliberalism in a manner which is deserving of commendation. This of Dr. Quinn Slobodian’s most recent book was originally written for and published in the Journal of Extreme Anthropology as part of their forthcoming special issue on SOVEREIGNTY, which you can access here. A pdf of the review is available from the JEA page and on my academia.edu page. As part of my work maintaining Peripheral Thought, we will soon publish a series of articles on SOVEREIGNTY, in part inspired by and intended to accompany JEA’s release of the special issue on the same topic. Lutes, Abram. 2018. “The Geneva Men: A Review of ‘Globalists’ by Quinn Slobodian” in Journal of Extreme Anthropology, Vol. 2, no. 2: Sovereignty.